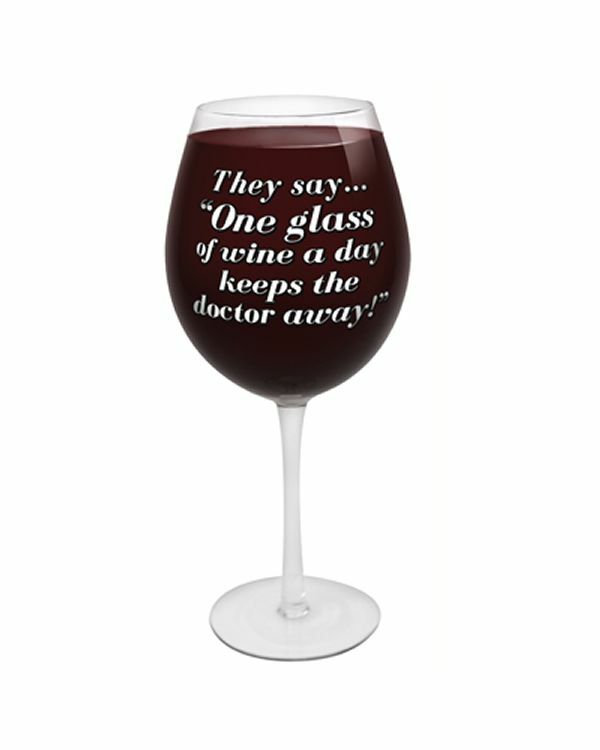 Tired of feeling guilty when the doctor asks you how much wine you drink per day? Get the Worlds Largest Wine Glass and you can be honest when you say "Just one glass, Doctor!" 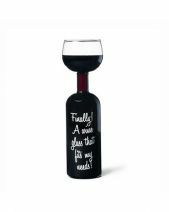 This huge novelty wine glass is a great gift for wine lovers! 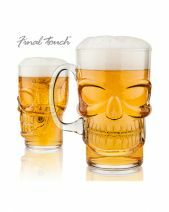 Perfect for your own drinkware collection! Good news for wine lovers! It turns out that a glass of wine per day is healthy for you. They say that it makes your heart healthier and gives you lots of nutrients that fight ageing or something like that. We weren't really paying attention too closely because we were drinking wine at the time when we heard this fact. Still, we can assure you that drinking a glass of wine per day is good for something according to very smart people who study these things. There's just one problem--who can stop with just a tiny glass of wine?!? 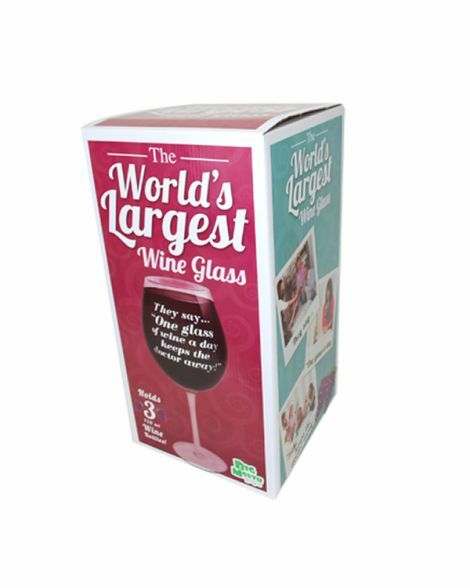 That's why we're thrilled to introduce this new medical breakthrough--the Worlds Largest Wine Glass! 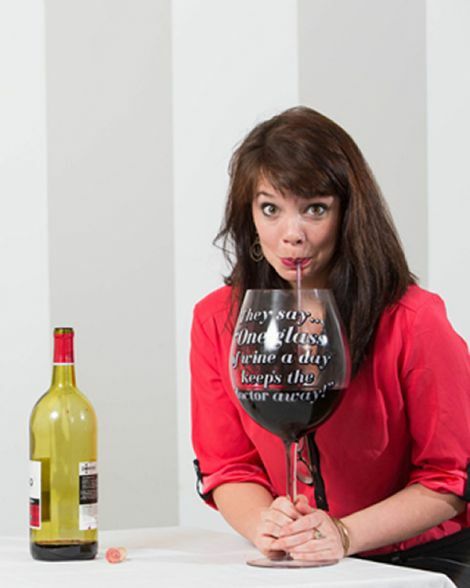 This huge novelty wine glass let's you stick to one glass of wine a day to meet the needs of--whatever part of you that gets good things from wine--while allowing the rest of you to get that big dose of alcohol that you need to recover from a long hard day. One of the best quirky gift ideas for wine lovers for Mothers Day, birthdays, Christmas and other occasions, the Worlds Largest Wine Glass is big enough to hold the contents of three full 750mL bottles of wine. That's enough to get even the most professional of wine lovers incredibly intoxicated! 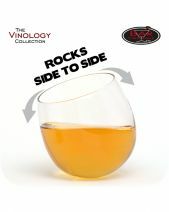 The glass is designed to look just like a conventional wine glass with an elegant stem and a perfectly tapered bowl. On the front of the Worlds Largest Wine Glass is a hilarious message about the health benefits of wine that is sure to have people at a party laughing. 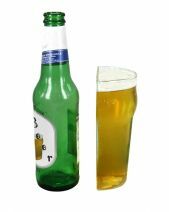 Although this is a quirky gift ideas glass, it is of impressive quality, as it's completely hand blown just like luxury grade stemware. The huge novelty wine glass obviously needs to be hand washed due to its size, and it can be used as a decoration in any wine lovers living room or kitchen! Give your favourite wine lover the perfect gift for Mothers Day or any other occasion. Order the Worlds Largest Wine Glass! Doctor's orders!